And his 430 American volunteers camped on this hill December 10-11, 1846 and took the Mission San Miguel. 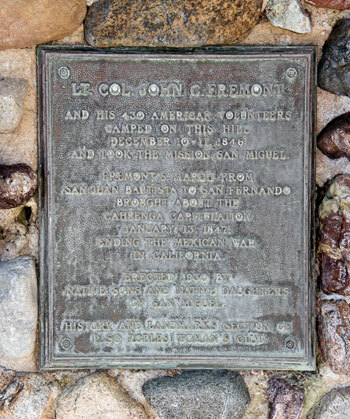 Fremont's march from San Juan Bautista to San Fernando brought about the Cahuenga Capitulation January 13, 1847, ending the Mexican War in California. Erected 1930 by Native Sons and Native Daughters of San Miguel. 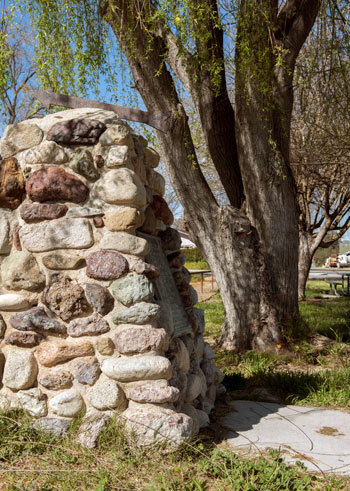 History and Landmarks Section of Paso Robles Woman's Club.